It's not always easy to leave behind your time-tested technology, especially when current systems aren't broken. But Microsoft teamed up with Dell and found two small businesses willing to take the leap. The goal was to transform the companies as examples of the tech brands' new hardware, operating systems, and applications. Microsoft and Dell offered to pick up the tab and do all the work to migrate the small businesses from outdated legacy systems to current technologies. The makeover project focused on two distinctly different businesses: Cupcake Royale, a chain of boutique cupcake bakeries, and a family-owned accounting firm, Balin Accountancy. Each has unique computing needs, yet initially relied on Windows XP and other legacy applications and hardware. These two companies accepted the challenge to explore the impact of Windows 7 and other current tools on their businesses. From the beginning of the project in the fall of 2010, I spoke with the owners and employees to learn why they continued to rely on older platforms and tools. I heard their concerns about making the switch, and followed up afterward to see how they adapted, and if upgrading was an experience they would recommend. Cupcake Royale creates delicious cupcake treats in the Seattle area, but it also focuses on community involvement and social responsibility, using all-natural, local ingredients and environmentally sustainable packaging. Making cupcakes is not a computer-intensive business, but with four scattered stores, Cupcake Royale had six laptops and four point-of-sale systems that rely on Windows. However, the company had been reluctant to jump on the Windows 7 bandwagon--so much that it had even opted to downgrade newer PC purchases to Windows XP. Further south, Balin Accountancy is a family-run accounting firm in San Diego. Balin had PCs running Windows XP with Microsoft Office 97 and a Windows 2000 server running Lotus Notes. The CPAs at Balin have a much different clientele than Cupcake Royale, and conduct more of their day-to-day functions on a PC--but the two are very similar to each other, and probably to a vast majority of small businesses when it comes to embracing new technology. Neither business had a particular problem with Windows 7 or other newer technologies. The comfort of familiar and reliable Windows systems made them reluctant to go through the pain and expense of an upgrade. "We invest in cutting-edge accounting software because that is our main focus, but not operating system or productivity applications," says Josh Balin, owner of Balin Accountancy. "These are just tools, and they work as is. There is no reason or point for us to be on the cutting edge." Windows XP and older productivity and server platforms weren't "broken," but that doesn't mean there wasn't significant room for improvement. Employees were frustrated with the speed and performance of the older equipment. Balin also wanted better remote access capabilities and tools to cut back on paper usage. Cupcake Royale was also interested in reducing paperwork, minimizing its carbon footprint, streamlining communication, and improving productivity so managers could spend more time focusing on their core job of making and selling cupcakes. Microsoft wanted to demonstrate the capabilities and value of its newer technologies--including better performance, collaboration, communication, and productivity. Dell wanted to demonstrate its new, more "holistic" approach to IT consulting to focus on solving problems and filling IT needs, rather than just pushing a current product line. Even without the expense and burden of performing the upgrade, Cupcake Royale and Balin Accountancy had many things to be apprehensive about. There is no direct upgrade path from Windows XP to Windows 7, so transitioning from one OS to the other had some potential for hiccups. Moving to new hardware, switching messaging platforms, and other changes could lead to downtime and lost data. Microsoft and Dell provided each company with about 10 new PCs, each outfitted with antivirus software, Office 2010, and Windows 7 Professional. Cupcake Royale got Dell Vostro 3500 laptops and Balin Accountancy got Vostro desktops. At Cupcake Royale, the Microsoft and Dell teams spent some two weeks planning and executing the migration. The end result was a virtually flawless switch. There were some minor problems with network and server settings and getting users connected with the VPN, but Microsoft and Dell worked those out. E-mail access was offline for five minutes or so during reboots while the server was updated. Individual users were offline for about an hour as their systems were updated and profiles migrated, but they went right back online as if nothing had happened. At Balin Accountancy, Microsoft and Dell booked four days to migrate hardware and software--which included replacing the Windows 2000 Server running Lotus Notes with a new Windows Server 2008 machine running Exchange Server 2010. They accomplished the project in about three days. Microsoft also provided users at Cupcake Royale and Balin Accountancy with some orientation to the new environments, with introductory training on Windows 7 and Office 2010 to familiarize users with the features and conventions of the newer software. 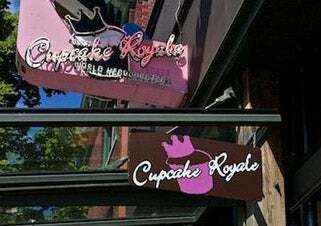 Jody Hall, owner of Cupcake Royale, switched from an older model MacBook Pro to a new Dell laptop, and says the hardest part was getting reacquainted with Microsoft Office and Outlook. "I really appreciate the new Outlook, though." A number of variables were involved, but factoring the cost for the new hardware, software licenses, and the time and effort of the Dell consultants, projects like these would cost somewhere in the neighborhood of $15,000 each. To do something similar on its own, a business would have to consider whether such an upgrade is really worth the investment-or even possible. After all, it's easy to upgrade when someone else is picking up the tab, and when the vendors are ensuring the switch goes smoothly. I asked each company if, knowing what they knew after the upgrade, they would have been willing to invest their own time and money on such projects. Probably yes, says Josh Balin. "Speed and efficiency are critical. Saving 15 minutes per day per professional translates to bottom-line dollars. The new systems are much less frustrating and reduce stress for our workers, and doing the math on the increased productivity, the upgrade would pay for itself in a relatively short time." Cupcake Royale's Jody Hall agrees that the change made her company faster and more efficient. In addition, the company is using the Windows 7 Problem Steps Recorder tool to create training tutorials, and using SharePoint to host the company training manual online and to provide a workflow for new employees. Is an Upgrade Right For You? Josh Balin believes that many small businesses mask a fear of change as a fear of cost--hiding behind the expense of upgrading to justify clinging to familiar tools rather than embracing new technology. That may be true for many businesses, but there are probably an equal or greater number where the reverse is the case: companies that are anxious to adopt new hardware and cutting-edge software, but simply don't have the discretionary budget. The fact that new hardware and software would likely boost productivity and efficiency and pay for itself over a relatively short amount of time doesn't help if the money simply isn't available in the first place. Still, looking at Cupcake Royale and Balin Accountancy, there are plenty of benefits and advantages to upgrading to newer hardware and software for those companies that can afford the investment. If this experiment proved anything, it is that newer hardware and software can yield significant productivity and efficiency improvements regardless of the platform or vendor, even if the current systems aren't broken. If you're an IT solutions provider serving the small to midsize business market, and you'd like to learn how you can contribute to PCWorld Tech Audit, send mail to techaudit@pcworld.com. We're always looking for more talented pros.